Nice surprise First cognas tones you can find in aroma. Taste is complex with nice hint of Naplleon, not covering the basic Abuelo rum character. Long aftertaste. Nice surprise Big body, long aftertaste and many flavour. Similar to Diplomatico, but less sweet. Very smooth and full of taste Beautiful aroma, warm and smooth taste. Many layers and long aftertaste. Not sweet not dry - perfectly ballanced. This is rum for special evenings. Perfectly ballanced Not sweet, not dry, perfect ballance. Typical Oliver character. Nice and long aftertaste. Nice ballanced siper Melasa tone. Taste almost like other over 20y rhums - complex, many layers and long aftertaste. Typical A.H. Riise Typical aroma and very sweet taste, but not so much like Family Reserva. Complex body and long aftertaste. More complex than 5+5 Nice aroma with first traces of sherry. More complex body and little bit less sweet than 5+5, with price only a bit higher! Better from Plantation portfolio Nice aroma, well ballanced sweet and full body. The better from Plantation portfolio. Honey heaven Very nice aroma with hoey, bannanna and pears. Smooth taste with ballanced sweetness - you would not guess 50%. Long aftertaste with fruit layers. Sweet and smooth Nice aroma with caramel, spice and vanila tones. Warm and smooth taste, sweet but not too much. Average aftertaste with wooden tones. Overpriced Good choice for beginners, but I prefere more Diplomatico 12y. Also overpriced in my POV - for similar price you can find much better rum. 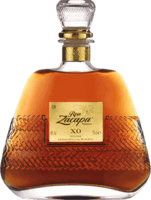 But good "
Sweet good rum It is somwhere between Zacapa 23 and Diplomatico Reserva Exclusiva. Not burning, sweet taste, nice and long aftertaste. Smooth with good aftertaste Nt sweet not dry, but with lower complexity and smaller body than other big rums. Very different from Zacapa 23y Nice smell and taste full of chocolate and smoke. Very complex with long aftertaste. Much better than Zacapa 23y but still under Zacapa XO. Good taste with sweet tones Too much alcohol in aroma. Good taste with sweet tones but short aftertaste. Good darker solera Darker smooth, well ballanced, long aftertaste. Chocolate, and cane sugar taste. Good ballanced choice Good aroma, ballanced body but not so complex. Sweet shorter aftertaste. Perfect ballanced taste Light fruity taste, nice roma. Vanilla, coconut and cinamon tones. Well ballanced - not dry, not sweet, pleasure to sip. Low price for this quality. Much better than 12y No ethanol in aroma and taste. More drier with wooden tones in aftertaste. Smooth pleasure Beautiful aroma, very smooth taste, not burning. Long aftertaste with vanilla tones. Enjoyable partner for long evenings. Nice sipper Sweeter good ballanced taste, long aftertaste with caramel and sugar cane. Perfect choice for everyday. Nice combination Plantation quality with a hint of pineapple. Nice aroma, not very sweet taste, long fruity aftertaste. Needs to breath Nice leather arome, but needs to breath some time. More dry taste with whisky tones, not so complex body. Very long aftertaste. Perfect value for the price Very well ballanced. Not sweet but also not dry, with his own character. Smooth and complex with more layers and longer aftertaste. Better than you expect Nice and smooth. Much better tbat you would expect from 7y old. Big step up from Anejo, but not so complex and shorter aftertaste vs 12y. Strange taste... Nice vanilla aroma and taste. Smooth and sweet, but with some strange bitter tones and bit burning. Not bad in range of SPICED rums, but overpriced. Good standard 7.5 points Ballanced taste but nothing exceptional to remember. Candied fruit taste Weak body, not many layers of taste - only sweet and candied fruit. No burning. Can be the choice for women. Similar to Zacapa Not too sweet similar to Zacapa 23 but with less complex aroma and taste. Nice fruity and smooth taste Very nice smell - lot of layers. First taste sweet, honey and fruity, aftertaste long and full. Good sample for girls and womens. Good rum similar to Zacapa 23y Similar to Zacapa 23y but not so strong alcohol taste. Thiner body and much less layers than Diplomatico 12y. Good ballanced rum Well ballanced, fruit and vanila tones, but weaker body and short aftertaste. Nice aroma Leather, wood and ground tones in aroma. Strong but ballanced taste. Shorter aftertaste with sweet tones. Good drier standard Nice aroma, no alcohol burn in taste. Wood and chocolate aftertaste. Not bad but also nothing exceptional. Good value for price Not so complex like XOX, weaker body and more alcohol burn but for the price is worth to taste it. Abit more dry Nice aroma, first taste is on dry side, bit burning, with bouebon aftertaste. Good "standard" also perfect for mixing. Rocket fuel Nice aroma -must breath in glas longer time. Too strong to enjoy straight. Heating very long time and dry aftertaste. Positive surprise Heavy warm taste, nice aroma. Sweet long lasting aftertaste. Better one from spiced Perfect for christmas! Spiced, but not too much. Sweeter but still drinkable. Very smooth Nice aroma with fruit tones. Very smooth taste. Light and simple taste, firstly dry but with sweeter aftertaste. More on dry side Something strange in aroma. Taste more dry with shirt aftertaste. Much better than 3y and 5y Maybe 6.5 points Not intensive aroma (need breath) Dryier with sweet tones and average aftertaste. For this price you will get fair taste. Light and sweet Light vanila and fruity taste, not bad. But thiner body, lower complexity and short aftertaste. Good budget price. Perfect value for the price Not too much sweet, big body missing but for the price (10 Eur 0,7l bottle) it is perfect for visitors and mixing. Dry, harsh and burning Smell was not bad, but taste is burning and harsh. Aftertaste not very long with ground tones. Nice surprise Similar taste to Diplomatico 12y but less sweet and more sharp taste with less layers and flavours. For the price ( 8Eur / 0,5l ) is it very good. Very dry Too much dry for myself. Very low complexity. Not comparable with other 12y rums. Dry surprise Vanilla and cinnamon taste, smooth and dry taste with only sweet tones. Better aroma than taste Nice aroma.with vanila and coconut tones. First taste is weak, no own character. Aftertaste much better and quiet long. Agricole rhum Brazilian agricole rhum. Nice aroma full of different tones. Taste also complex with honey and fruit. Shorter aftertaste. Nott sweet with wooden tones Nice caramel aroma, taste very complex with wooden, chery and bourbon tones not sweet. Average aftertaste. Sweet and smooth One of the better spiced rums. Sweet but not too much, spiced but not too much :-) Good for girls or beginners. Good evergreen for mixing Alone taste very spiced, but this is also the reason, why is so good in mixed drinks. Good for mix For me on similar level like Captain Morgan Spiced, but not so much flavoured. Good for mixed drinks like Cuba Libre. Realy dark The taste is not so much sweet or spiced. Heawy and dark - good for some mixed drinks. Directly maximum one small glass. Good for mix Good only for mixing. Tasted straight - spice is masking the ethanol and missing body. Good value For the price is good for Mojito and other mixed drinks. Mixing standard Not so much spiced, tasted good even straight. Good standard white rum for Mojito and other mixed drinks. Only ethanol Sharp aroma with ethanol only, burning taste similar to vodka. Aftertaste better with vanilla and cocco tones. Nice aroma, not so good taste Spiced and orange tones in aroma. Taste is short and not complex. Like spiced Nice vanila aroma. Taste is not so good - strong ethanol. Aftertaste missing. More bourbon than rum Strange aroma, burning sharp first taste. Short aftertaste with fruit tones. For mix in winter The power of 80% alcohol is hiding everything. Good for mix with hot water or tee in winter. Only for christmas baking Can´t compare with original RUM. Made from potatoes distillate + flavours. Only for christmas baking. Only for christmas baking. 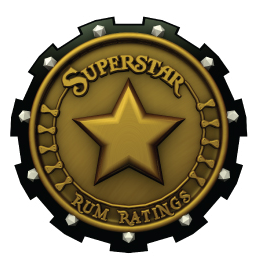 Can´t compare with original RUM. Made from potatoes distillate + flavours. Only for christmas baking. Only for christmas baking. Can´t compare with original RUM. Made from potatoes distillate + almond flavours + lot of sugar. Only for christmas baking. Cheap Captain Morgan substitution Can´t compare with original RUM. Made from potatoes distillate + flavours. Only for christmas baking. Very far from rum Interesting experience what everything can be labeled as RUM 😆 Ethanol aroma, ethanol taste, only one positive - it's smooth. Even worst than Bozkov Original Bad ethanol smell. Not god even for mixing - mojito is undrinkable. 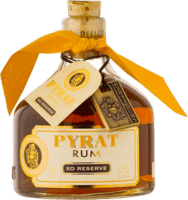 Completely chemical taste Can´t compare with original RUM. Made from potatoes distillate + flavours. Only for christmas baking.